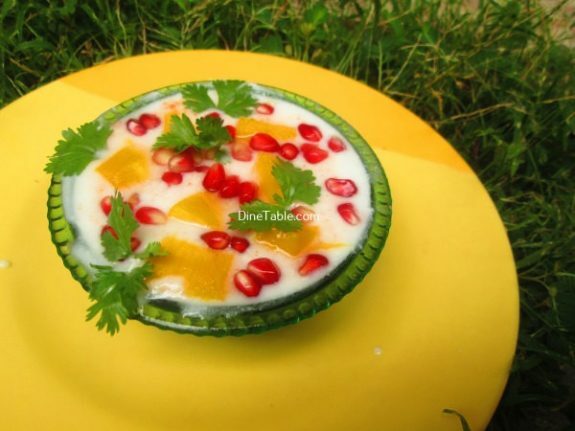 Pomegranate Mango Raita is a tasty and easy side dish. Raitha is a blend of yogurt, spices, fruits and veggies. 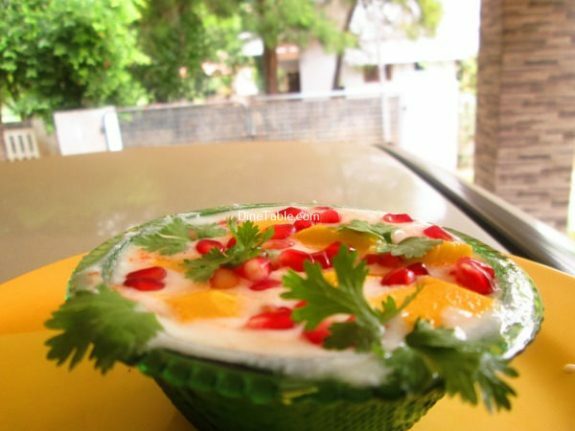 Raithas are so refreshing side dish with pulao, biriyani etc. They are similar to south Indian pachadis. Mangoes are very nutritious, being a good source of vitamins C and A, as well as dietary fiber, potassium and vitamin K. Mangoes are also low in calories and contain antioxidants. Yogurt is made by culturing cream or milk with live enzymes and good bacteria, which results in a deliciously tangy and creamy treat. Yogurt is nutrient rich because it is an excellent source of vitamins and minerals for its calories. Yogurt is a unique food because it is a cultured milk product, made by adding certain “friendly” or “good” bacteria called probiotics to milk, skim milk, and/or cream to produce a thicker and more textured product. These “good” bacteria are live active cultures that are similar to the ones that already exist in the human digestive tract. They help maintain and restore the delicate balance of both “good” and “bad” bacteria necessary for a healthy digestive system. 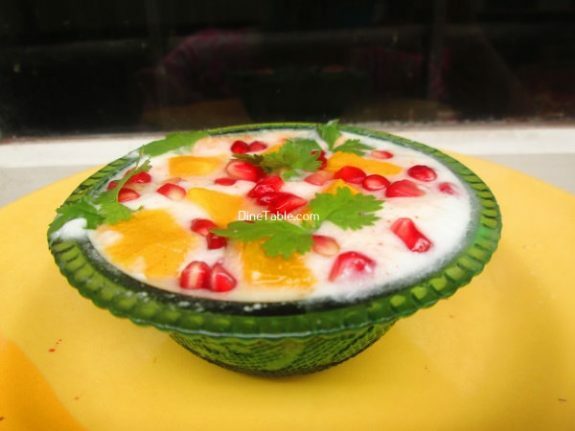 Try out this yummy and easy raita at your home. 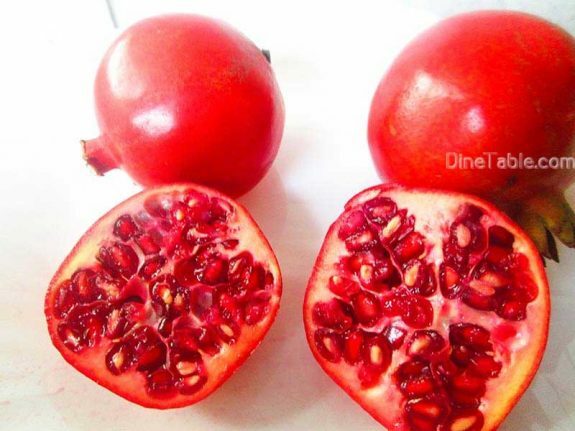 Wash the pomegranate, cut and take out seeds of pomegranate. 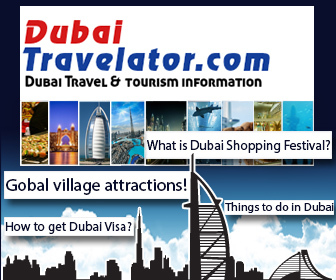 Wash and peel the mangoes and cut into small pieces. Take a bowl and beat the yogurt well with a spoon. 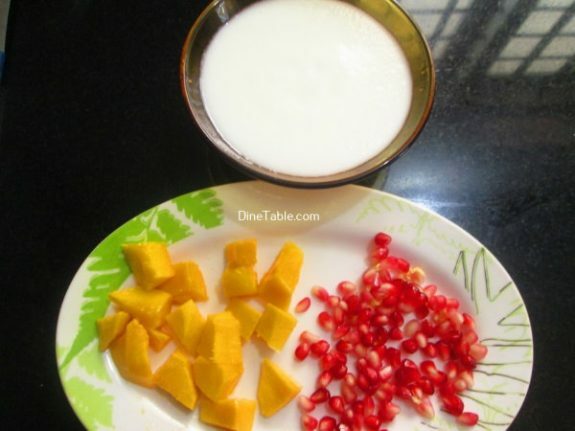 Add red chilly powder, cumin powder, chopped mango pieces, pomegranate seeds, salt and mix well. 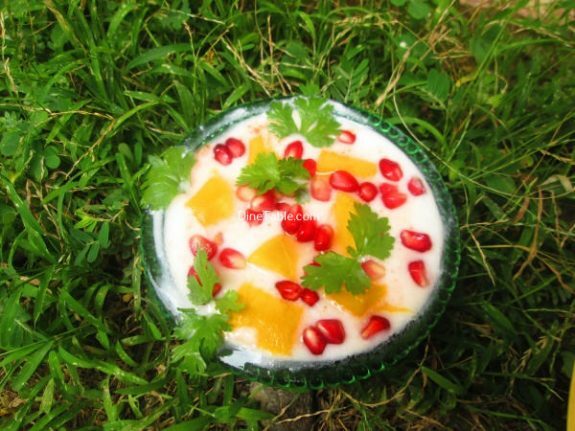 Garnish with chopped coriander leaves, mango pieces and pomegranate seeds. 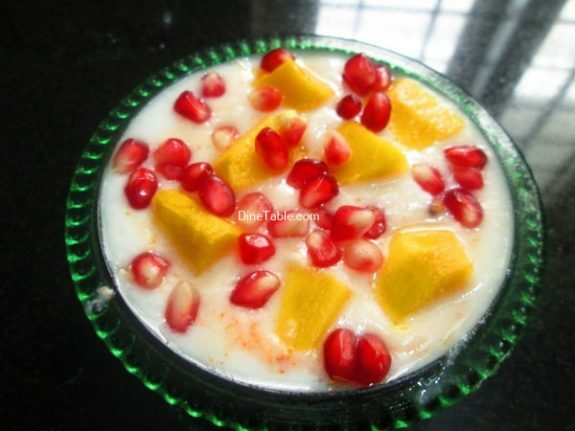 Yummy Pomegranate Mango Raita is ready.